When your ultimate goal is to empower employees to grow, giving feedback is a crucial piece of the puzzle. At Pro Food Systems, Inc. (PFSbrands), emphasizing feedback at every level of the organization cultivates a high-performing culture defined by transparency, respect, and a growth mindset. 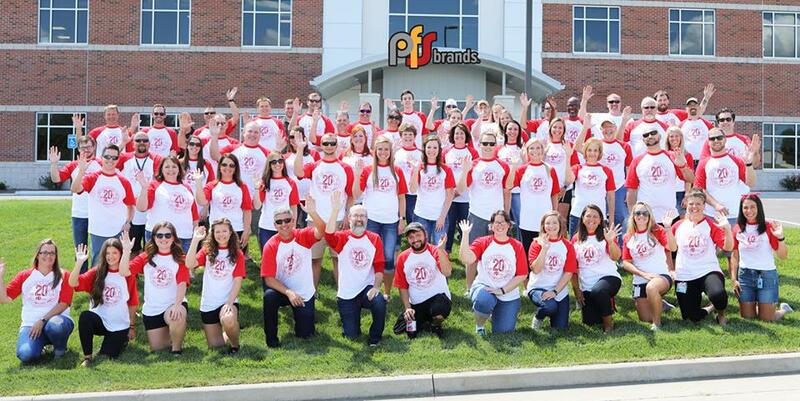 A 100% employee-owned company, PFSbrand’s 130+ employees-owners are constantly engaged in providing and receiving feedback, creating a feedback loop that keeps all team members — including leaders — moving forward. People support what they help create. Here’s how a culture of feedback works at PFSbrands. Take a closer look at the core values at PFSbrands — if you read the first letter all the way down the list, it spells “HAPPINESS RULE.” The culture at PFSbrands is all about straight talk, accountability, and growth — but it’s all in the name of creating employee happiness. In order for employees to reach their potential, they have to set goals, stay accountable, and be open to feedback. Most companies have at least one channel for feedback: maybe it’s the annual review or an anonymous company-wide survey gauging employee satisfaction. In a true culture of feedback, there are multiple channels of feedback open at all times and in every direction. Leaders are surveyed as often as employees, and there’s a constant give and take of feedback. At PFSbrands, every individual participates in a 360-degree peer review and multiple surveys are sent out throughout the year measuring everything from financial literacy to employee engagement. The process started seven years ago when Founder & CEO Shawn Burcham decided to survey their 35 employees on how they viewed him as a leader. He kept it simple — the survey simply asked what Shawn should start doing, what he should stop doing, and what he should keep doing. The results rolled in, and Shawn learned that his employees needed him to work on his patience. He has a quick start personality, and in certain scenarios, that’s a weakness. Shawn heeded their feedback, and shortly after, started rolling out 360 peer reviews for everyone in the company. At PFSbrands, the key to successful feedback is to keep it simple. Feedback processes are spearheaded by the company’s People Success Team, which organizes the reviews and compiles the feedback. The reviews are spread out throughout the year by department. Each month a different department is surveyed. All surveys are hosted on SurveyMonkey, and 360 peer reviews are completely anonymous and open to anyone who interacts with that individual. For leaders, their 360 reviews are open to everyone in the organization. Likewise, company-wide surveys are anonymous, straightforward, and carefully crafted to only ask the important questions. How likely are you to recommend PFSbrands as a great place to work? What’s one thing the company needs to improve on? What’s something you wish your manager would start doing? But their straightforward approach isn’t for everyone — their feedback mindset actually helps them identify candidates who fit the culture and share a growth mindset. Because PFSbrands is employee-owned, they’re looking for people who are accountable and have high expectations for themselves and those around them. Receiving feedback isn’t always easy. The name of the game at PFSbrands is tactful, respectful straight talk. While feedback can be tough to hear, a strong foundation built on core values makes receiving feedback much easier. Everyone at PFSbrands knows that it’s part of the mission to give employees an opportunity to excel, and giving feedback is an important part of doing that. When feedback is given in the spirit of continuous improvement, it’s much easier to digest. Employee-owner feedback. So, how does straight talk work? It’s as simple as it sounds: all employee-owners are given the unfiltered feedback from their 360 peer reviews, line by line. That way, they can see how they score in the eyes of their peers and read their honest comments and feedback. Employees use the feedback to identify where they can grow and begin setting goals accordingly. Managers work closely with team members to coach them through the process on a quarterly basis, focusing 80% of their attention on the future and 20% on the past. PFSbrands considers themselves accountability partners for their employee-owners, and failure is always okay. The idea is to learn from failure and grow. Leadership feedback. Leaders aren’t always used to receiving feedback from all levels of the organization. At PFSbrands, they support senior leaders by creating a designated time and space to process the feedback. Their Senior Leadership Team Advisory Group, which includes senior and next-generation leaders, has a quarterly offsite meeting to share and respond to feedback. They verbally discuss each leader’s strengths and weaknesses and have transparent, respectful conversation around those traits. It’s not about making a leader feel insecure, it’s about helping them become more self-aware. Company-wide surveys also help inform leaders on where the company stands. When company-wide surveys come in, the Senior Leadership Team Advisory Group reviews the results question by question and assesses common themes. The feedback informs their bottom-up approach to setting annual goals and objectives, as well as the company’s quarterly themes. PFSbrands constantly collects the wisdom of the crowd and uses it to steer the direction of the company. PFSbrands has leveraged the power of feedback to cultivate a fast-growing, high-performing culture — and it’s all fueled by their core values, mission, and vision. Building a culture of feedback takes time and practice, but there are a few important first steps to get started. It starts with you. A culture of feedback begins with leader buy-in. That means leading by example and being the first to participate in a 360 peer review. After the CEO or president’s review, the rest of senior leadership should follow. Not only does this show that senior leaders are embracing the process, it’s also an opportunity to model how to receive and process feedback in a way that aligns with the company culture and values. Walk the talk. If you or your leaders are resistant to the feedback that comes in, the feedback loop will come to a screeching halt. Leadership buy-in is crucial to the process, and employees won’t be compelled to make real change if their leaders aren’t willing to do the same. Coach your leaders on how to receive constructive criticism, identify consistencies in their feedback, and connect that to goal-setting and behavioral changes. Don’t try to please everybody. Especially early on in the process, it’s important to take a big-picture approach to feedback. Instead of trying to please everybody, look for consistent themes that emerge from feedback. When you first start collecting feedback, not everyone will be bought into the process. Sometimes, the feedback loop actually works to weed out people who aren’t ready to participate in transparent, respectful conversations around growth. Don’t listen to the minority, because you’re never going to please everybody. Shawn Burcham is the Founder & CEO of Pro Food Systems, Inc. (PFSbrands) which he and his wife Julie started, out of their home in 1998. PFSbrands has grown to 130+ employee-owners across 18 states and is now 100% employee-owned. The company has over 1,200 branded foodservice locations across 38 states and they are best known for their Champs Chicken franchise brand which was started in 1999. The company now offers BluTaco as a franchise brand and Cooper’s Express as a license program. They also create private label programs for many of their customers. PFSbrands works predominately with supermarkets and convenience stores across the country. 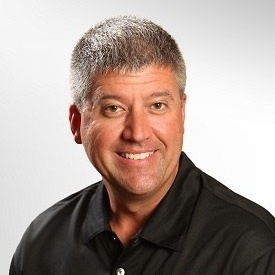 Prior to starting PFSbrands Shawn spent 5 years with a Fortune 100 company, Mid-America Dairyman. Pioneering an intern program and sales training program, at a young age just after graduating college he assumed a 14 state Regional Sales Manager position for the Packaged & Processed Cheese Division. He went on to spend three years as a Regional Sales Manager for a Midwest Chester Fried distributor. Shawn made a decision in 1998 to take a major risk in quitting his job and starting a business from the ground floor. Since starting PFSbrands, Shawn has started and grown over 10 businesses while also investing in other businesses where he feels he can help owners become more successful. It’s because of these varied experiences that Shawn truly believes empowering employees to think and act like owners is the recipe for success. Shawn is a true entrepreneur that has taken the risks necessary to lead a company to double-digit growth for 20+ years.